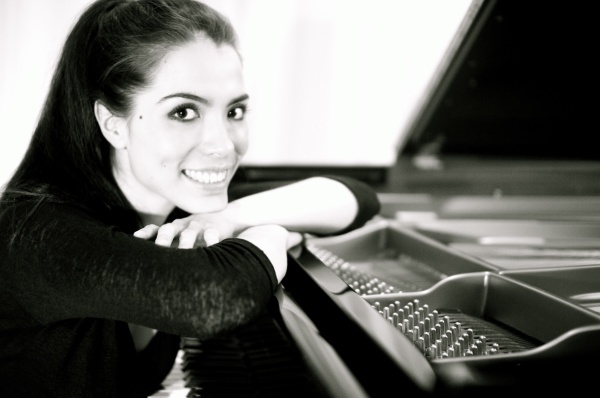 Caterina has recently been appointed as one of the youngest Piano Professors at the Royal College of Music in London. Please click here for more information. Caterina was recently awarded 1st Prize of 20 000 USD at the 2018 Changsha Open International Piano Competiton. On 25th May 2019, Caterina will be giving a recital at Hitotsubashi University (Sanoshoin) in Tokyo, Japan. The programme will include works by Haydn, Schumann and Liszt. On 13th July, Caterina will be giving a chamber music recital with violinist Emily Sun at Lichfield Festival. The programme will include works by Fauré and Franck. Please click here for more information. Caterina will be joining violinist Jiafeng Chen at his Summer Festival Gala Concert at St John's Smith Square to perform solo and chamber music works. Please click here for more information. 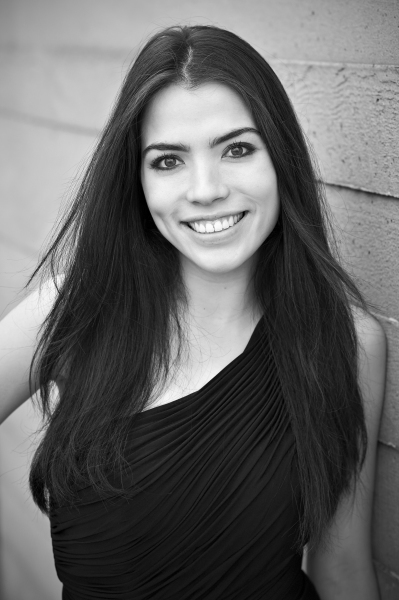 Caterina will be on the jury and piano faculty for the 2019 SAE International Piano Competition and Piano Course to be held at the Purcell School in London. On 26th October, Caterina will be giving a recital at Toppan Hall in Tokyo. The programme will include works by Schumann, Schubert-Liszt and Liszt. More information to follow. German-Japanese Pianist Caterina Grewe, born in Tokyo, has performed to great critical acclaim throughout the UK, continental Europe and Asia as a Steinway Artist. She has given recitals in venues such as the Royal Albert Hall, Steinway Hall London and Hamburg, Cadogan Hall, Fairfield Halls, Mozartsaal and Laeiszhalle in Hamburg, Dublin National Concert Hall, Palau de la Música Catalana in Barcelona and the Rachmaninoff Hall of the Moscow Conservatoire amongst others. Caterina has also given recitals which were broadcasted by the BBC, the NDR in Hamburg and France Musique in Paris. She appeared alongside Lang Lang on Sir Micheal Parkinson’s TV Show ParkinsonMasterclass which was aired on Sky TV in 2013. 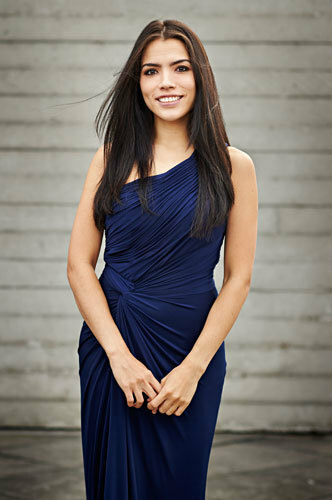 As a concerto soloist, she has appeared with the Classic Philharmonic Orchestra Hamburg, the Lüneburg Symphony Orchestra, the Oldenburg State Orchestra, the RCM Symphony Orchestra, Jove Orquestra Nacional de Catalunya and the RTE National Symphony Orchestra and has collaborated with conductors Robert Stehli, Thomas Dorsch, Robin O’Neill, Manel Valdivieso and Alan Buribayev. 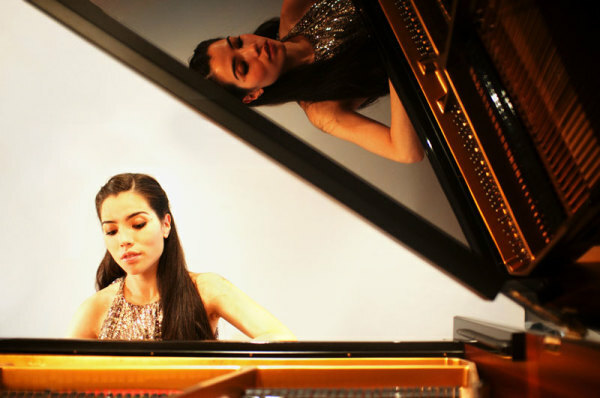 Caterina has won numerous prizes at world-renowned piano competitions such as third prize at the Maria Canals International Piano Competition in Barcelona and the Dublin International Piano Competition where she was a finalist and prize winner in 2015. Other prizes include First Prize at the 2010 Lagny-Sur-Marne International Piano Competition in Paris, First Prize at the Norah Sande Award in Eastbourne in 2010, First Prize at the 2011 Mayenne International Piano Competition in France, and First Prize at the 2014 Rhodes International Piano Competition in Greece. During her time at the Royal College of Music, Caterina won all major prizes including First Prize (Kendal Taylor Beethoven Piano Prize) at the annual RCM Beethoven Piano Competition in 2009 and First Prize at the Concerto competition in 2012, which led to a performance of Liszt’s First Piano Concerto at the Wimbledon International Music Festival under the baton of Robin O’Neill. 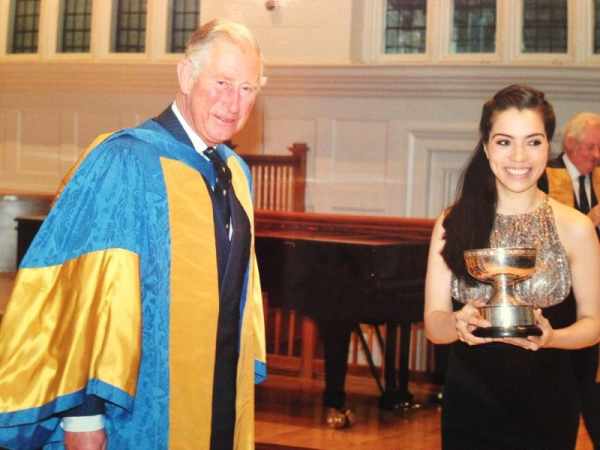 Caterina was also awarded the HRH Queen Elizabeth The Queen Mother Rose Bowl by the Prince of Wales for her outstanding achievements during her studies at the Royal College of Music. In 2016, she won Second Prize at the 8thLyon International Piano Competition and was also selected as one of the 30 competitors to participate in the 2017 Van Cliburn International Piano Competition. Most recently, she won First Prize at the 2018 Changhsa International Open Piano Competition in China. Caterina studied with Gabriele Wulff at the Hamburg Conservatory, with the late Bernard Roberts at the Chetham’s School of Music and completed her studies at the Royal College of Music in 2013 where she studied with the late Yonty Solomon, Ian Jones, Professor Vanessa Latarche and Professor Dmitri Alexeev. Caterina holds the Bachelor of Music (BMus), Master of Music (MMus) and Artist Diploma (ArtDip), all completed with distinction. 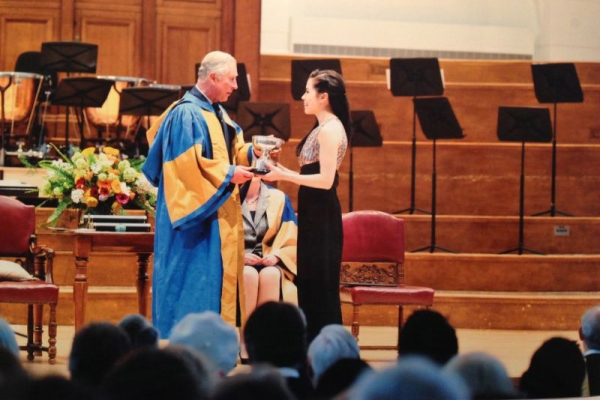 Throughout her studies, she was generously supported by the Monica and Guy Black Award, AHRC scholarship, RCM Henry Wood Trust, RCM David Young Piano Prize, Philharmonia Orchestra Martin Musical Scholarship Fund and the Musicians Benevolent Fund. Caterina is recognised for the beauty, poetry, and temperament that her playing displays and the depth and maturity in her interpretations. She has always been especially drawn to the music of German Romantic composers. Schumann is one of her favourite composers and it is only suitable that her debut CD for KNS Classical (which was released in April 2016) features one of his most treasured works (Davidsbündlertänze) and one of his rather unduly undiscovered works (Sonata No.3, “Concert sans orchestra”). 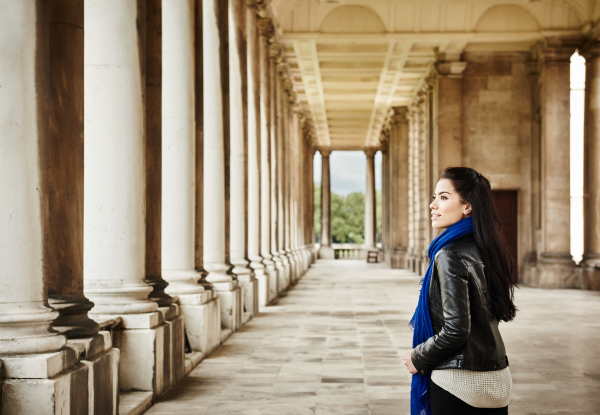 Caterina joined the piano faculty of the renowned Purcell School in 2013, St Paul’s Boys’ School in 2015, St Paul’s Girls’ School in 2017 and was appointed as a piano professor at the Royal College of Music in April 2019. She has given many masterclasses across Europe and abroad and has been a jury member of several piano competitions, including the 3rd Singapore International Youth Piano Competition. 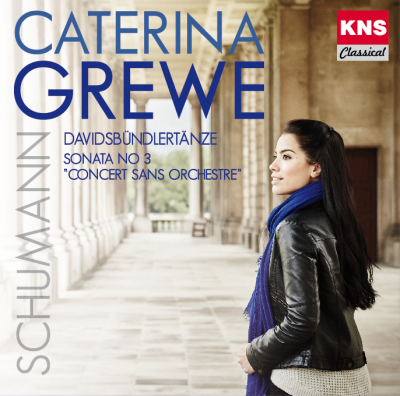 "The Japanese-German pianist Caterina Grewe presents two deeply impressive Schumann interpretations on the Spanish label KNS Classical: Both the "Davidsbündlertänze" and the Third Sonata benefit from a poetic approach. Grewe's interpretations are clearly structured and powerful: A fabulous Schumann interpreter!" performance of Prokofiev’s Second Piano Concerto, making her the first female to win the competition. I thought that Alexander Beyer (in Beethoven’s Emperor Concerto) and Caterina Grewe (in Tchaikovsky’s First) were more solid on the night, and found Alexander Bernstein unduly four-square in Rachmaninov’s Third. The jury placed Bernstein second, Beyer third and Grewe fourth." "Her virtuosity has no match but for her talent. One feels behind her playing, the passion that perspires to her finger tips - enough to make one shiver." “Pianistic Perfection. Her hugely challenging programme required her to surmount every pianistic demand. This she did with ease"
There are no musicians in my family but we always had a piano at home (as my mother played as a hobby pianist) and my older sister was also having lessons, so I started playing as soon as I could climb onto a piano stool. I didn’t decide to become a professional pianist until quite late – I was 16 when I was in professional environment for the first time at Chetham’s School of Music and knew this is what I wanted to do for the rest of my life. My most important influence in my musical life was definitely my time at the Royal College of Music. I really feel that I met many of the most important people in my life today there and that I found myself as musician, pianist and person in the seven years I studied at the RCM for. I think the greatest on-going challenge for a musician is to be able to accept that each piece of music you choose to play is a life-long work. You will never be entirely content with what you have achieved at the time or when you come off stage. You always strive for something better – but in a way, it’s also the beauty of music making. My debut album for the label KNS Classical is about to be released which is very exciting. I recorded a disc with two major works by Schumann (Sonata No.3 and Davidsbündlertänze) which are both very special to me. I can identify myself most with the German Romantic Repertoire. I always felt that the music by Brahms and Schumann were very innate in me. But I also enjoy playing many works by Liszt and much of the Russian repertoire. I have been able to explore much of this with my professor and long-term mentor Dmitri Alexeev. I tend to have long-term projects for the next few years and I usually combine these with my current interests. I always think that coherence or an inner connection of works in a recital programme is very important. I don’t necessarily have one favourite concert hall but one of my favourite is definitely the Laeiszhalle in Hamburg. It’s a beautiful hall with a wonderful acoustic and it brings back great memories as Hamburg is the city where I spent most of my childhood. Currently works by Schumann and Rachmaninov’s Second Piano Concerto. I always love working on every programme I choose for each season. For listening it’s perhaps slightly different - I tend not to listen to that much piano music. I mainly listen to orchestral and chamber music and operas. I do occasionally enjoy listening to Jazz as well. Many great artists from the past have given me much inspiration over the years, it’s impossible to list all of them but there are a few that I would single out: Furtwängler, Edwin Fischer, Sofronitsky, Kempff to name a few. First and foremost, to choose music as a career for the right reasons – one must love music to the extend that you could not live without it. Being creative, imaginative and respectful towards the music you are playing. Having the freedom to combine concertizing, teaching and family life. To lead a harmonious life where I can enjoy music and family life to the full.